Thank you for using Ratehub.ca’s free credit score and report tool powered by Equifax. Please note that this credit score and report tool is a one-time snapshot of your credit. It reflects your score on the date it was originally pulled on Ratehub.ca. A credit score is a number between 300 and 900 that’s a measure of your creditworthiness. Banks and financial providers use your score in conjunction with other information to determine the interest rates and products you may be eligible for. When a user checks their credit score with Ratehub.ca, does it impact their score? No, when a user checks their credit score with Ratehub.ca, it is a “soft” credit inquiry and does not affect their score. Why didn’t I receive my credit score? When a profile is completed successfully and the verification questions are answered correctly, a credit score on Ratehub.ca is provided immediately. If a user doesn't receive their score on Ratehub.ca, it's most commonly because an identity verification question was answered incorrectly but it's also possible the user does not have a credit file with Equifax or that Equifax may have not have allowed the file to be shown in an attempt to reduce credit fraud. What happens if my profile was not verified? You may have answered the identification questions incorrectly, you may not have a credit file with Equifax, or Equifax may have not have allowed the file to be shown in an attempt to reduce credit fraud. There is a mandatory 14 day waiting period before you can attempt to pull your credit score again. Alternatively, you can order your full credit report for free by calling Equifax at 1-800-465-7166 and they will mail you a paper copy. Why do we ask identity verification questions? Given the sensitive financial information provided in a credit report, stringent requirements are in place to protect our users against identify theft. These processes are part of any credit score request. Do credit scores provided by other credit bureaus match the one provided by Ratehub.ca? There are two national credit bureaus in Canada—Equifax and Transunion—and they use different models to calculate scores depending on what the score will be used for. A person’s score may vary slightly under different circumstances but will remain similar across providers and purposes. One score is not more correct than another score. The scores provided by Equifax for Ratehub.ca users are for educational use and enable the company to offer tailored personal finance advice and offers. 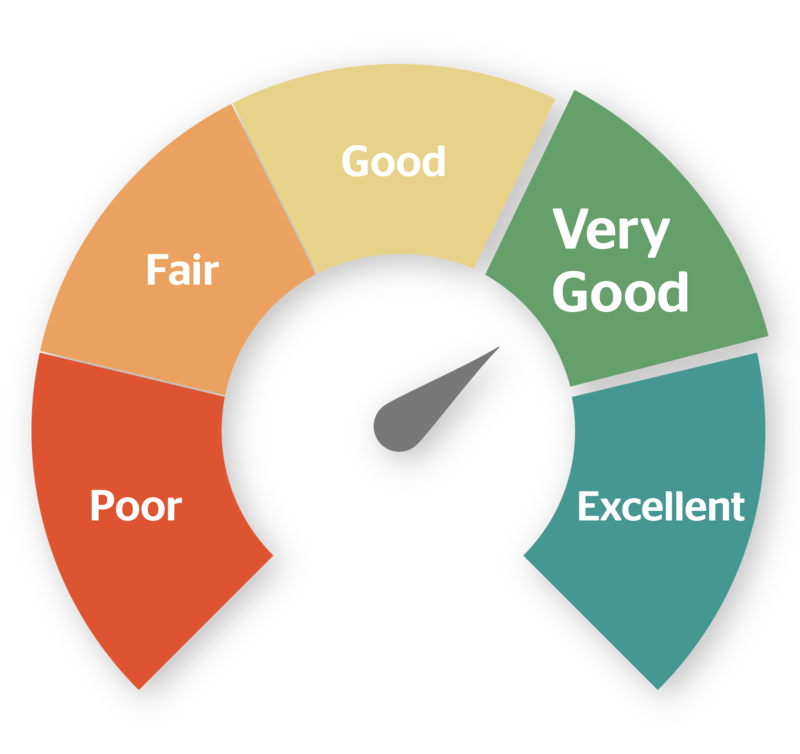 What is a “good” credit score? Credit scores range from “poor” to “excellent” and the higher the score, the better. With Equifax, a score of 660 or higher is considered “good.” But your score is only one factor used to determine the interest rates and products you may be eligible for from banks and financial providers. Other factors such as the ratio of your debts to your income will be taken into consideration. Am I guaranteed the product that Ratehub.ca recommends to me based on my credit score? No. While knowing your credit score will help you better understand which offers you’re eligible for, your application is ultimately assessed and approved by each provider. Can I use this credit score information to apply for other financial products from other providers? Ratehub.ca will recommend products based on your credit score, allowing you to select products you’re more accurately eligible for. But some providers may request a full credit report as part of their assessment and application process. How can someone access their full credit report? You can order your full credit report for free over the phone by calling Equifax at 1-800-465-7166 and they will mail it to you. If you want to get your report right away, you can purchase your credit report from Equifax Canada here. Disclaimer: The score provided to you is the Equifax Risk Score, which is also known as ERS 2.0. The Equifax credit score is based on Equifax’s proprietary model. The provision of this score to you is intended for your own educational use. Third parties will take into consideration other information in addition to a credit score when evaluating your creditworthiness. How will Ratehub.ca users benefit from a partnership with Equifax? Ratehub.ca is the first provider in Canada to offer credit score powered mortgage and credit card recommendations. Partnering with Equifax allows Ratehub.ca users to better select financial products they’re actually eligible for and make more informed decisions. Providing free credit scores empowers Canadians with important financial information that can be used to plan for the future or work towards credit improvement, if necessary. Credit score monitoring is also an important measure in identity theft prevention. Detecting an unusual result, for example, could indicate whether action or further investigation into your credit file is required. How is Ratehub.ca able to offer credit scores for free? Ratehub.ca covers 100% of the cost of the Equifax credit scores offered to its users. Ratehub.ca uses the credit scores and credit file to tailor product recommendations that will help users reach their financial goals, whether it be building credit, funding a big purchase, or buying a home. Ratehub.ca gets paid a marketing fee when a user connects with one of its bank or financial provider partners. How does Ratehub.ca protect its users’ personal information? What does Ratehub.ca do with users’ personal information? Will Ratehub.ca send free credit score users junk or spam? No one likes spam. Ratehub.ca will only send information it believes will be useful based on the credit profiles and financial goals of its users. This may come in the form of tailored product recommendations that can be used to build credit, fund a big purchase, or buy a home.